A nostalgic memoir of early boyhood in a Cotswold village, recalling memories from the age of 3-years-old, surrounded by older sisters and siblings, the father having long abandoned the family household, leaving the housekeeper who had become his wife, to raise the children of his first marriage and the four he had with her. Rather than a tale of struggle and poverty that we might expect given the circumstance of being raised in a large single parent family, in Laurie Lee’s hands, family life is narrated as a bundle of daily adventures and anecdotes that celebrate village life, sibling love, old lady madness and an attitude of making the most of it. Born in 1914,and writing this memoir in 1959, Lee’s style shares what he saw looking out at his view of the world, rather than looking within, it is a celebration of the time and a tribute to those he loved, respected, feared and was in awe of around him – including young Rosie, who makes the briefest of appearances luring him into the haystack, a significant turning point in his life no less. It is unique to read an author recalling tales of his relatives and sparing a thought for their sensitivity to what he is about to make public, something that today might be glimpsed in the acknowledgements, but rarely in the text, where the current trend is to hold nothing back and share all. This reluctance to spill all, means that the one thing that modern readers are no doubt curious about, the absent father and Laurie Lee’s thoughts about him, rarely get a mention. Acceptance or denial, they all just get on with living, surviving, getting an education and taking care of each other. Certainly they are always entertained, if not by each other, then by the two eccentric Grandmother figures who live within the same building complex and whose mutual hatred for each other seems to be the thing that sustains their life force. Lee paints a picture of village life that is vivid and alive with character and memory as if it happened today without compromising respect for any of the inhabitants; even at their most villainous, he narrates their stories with compassion and mild regret. His narrative captures the passing of time, the slow encroachment of city life and innovation that will ultimately kill that old village way of life that encapsulated them all, from the Squire down to the struggling newborn. He does so by sharing the stories and anecdotes of others seen through his eyes, rather than turning his gaze inward. A wonderful narrative of a not so distant time, lost forever. 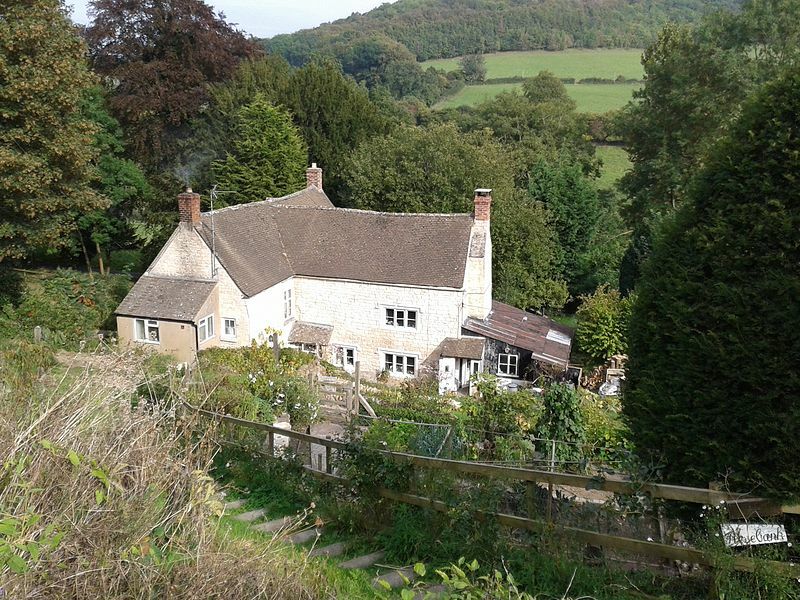 This entry was posted in Memoir, Non-Fiction and tagged book review, books, Cider With Rosie, family, Laurie Lee, life, memoir, nonfiction, Slad Valley, Stroud. Bookmark the permalink. One of the classics of my youth – so glad it’s still in print! Yes, it has been republished and the area is being threatened with redevelopment, so all good reasons to read it and raise awareness of what life was like, before all trace of it truly does disappear. Has this book been re-issued? The only versions of it I find on Amazon are both from the 1980s. It looks good! Yes Jennie, it was republished as a Vintage Classic in the UK in 2014 to mark 100 years since the birth of the writer. It is indeed a classic. Why oh why have I never read this book? I will certainly have to at some point. Your review paints a picture of the kind of book I love. Funny how sometimes there are books which are such familiar titles and yet somehow it has just never come your way. I felt like I should have read this title too Ali, the title seemed so familiar to me as well and I really didn’t know why. Well, now I understand why, even David Cameron is speaking about this book and being quoted in the press, as there are moves afoot to bring in the bulldozers and create a large housing community here, much to the ire of not just local people but pilgrims the world over, who want to walk those roads and valleys of Laurie Lee’s youth. I am sure it’ll come your way soon, now that there is a new issue of it out. An intriguing read. I also love the photos you share. (Strangely enough, many writers and poets that I enjoy were born in 1914. )Thank you for this review. Thanks Julia, I read quite a few authors either born or published in 1914 last year, I love how publishers are using these anniversaries to celebrate writer’s works. It was an interesting period from which to reflect. A wonderful book full of memories of my own teenage years as I read it while at school. As you say, there’s real compassion in the writing and a sense of nostalgia too. Lovely review, Claire – thanks for reminding me of this one. I read this book as an O level set text and reflecting on your review I think that rereading it as an adult would bring out elements that probably passed me by as a teenager. Great review of a book that conjures up the end of an era. It’s a truly wonderful book but not as twee and comforting as the covers always make out. I remember the WWI veteran with shell shock who lives in the woods and is comforted by Lee’s family. It’s one of the most beautiful passages I’ve ever read. I also recommend the succeeding volumes in his memoir: As I Walked Out One Midsummer Morning where he travels across Spain on foot, busking all the way, and A Moment of War where he recounts his hair-raising exploits in the Spanish Civil War. You can sometimes get all three books in one omnibus volume. Thanks for mentioning those two Alastair, I wondered how they have been received, it seems like this must be a book that many have read and yet I have little recollection of an discussion or review of it in recent years. I like the sound of his follow on adventures, village life has set him in good stead. Claire, I have just come across your blog and it is absolutely delightful. My mother always told me, “Words are your friends Gezil”… and now I have found someone who feels the same about herself. I shall be back to visit again soon. Thank you for stumbling across Word by Word and sharing that! I love your words on friendship and shall be following them too. I hope you enjoy what you find here. Once again you remind me of a book hidden away on the bookshelf that needs to be read, being a method reader though, I am going to wait until Spring/Summer to read this as it just seems to have that sort of feel to it. I know, I am probably odd but it seems to me that that is one way to get the most out of a book, I am most excited to read this one now. 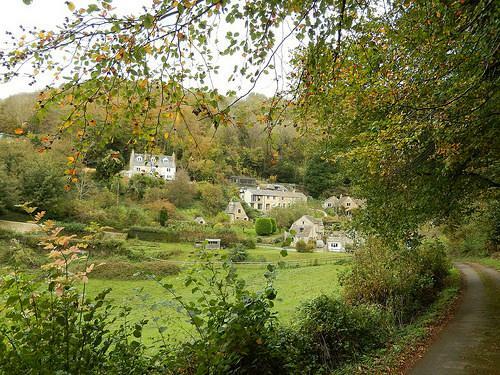 That sounds like a great idea, it will get you wanting to walk out in the country lanes, or all the way to Slad even! How great that you have a period of anticipation and its already on the shelf! I love being reminded of those hidden gems we already own, whose light is dimmed beneath the dust and a mention is all it takes for it to elevate status to “soon to be read”. Voila! 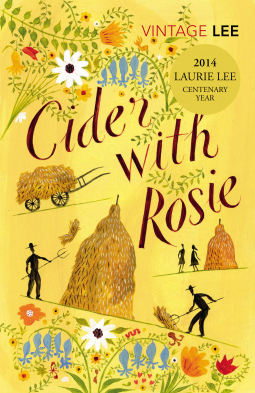 I grew up near Slad but haven’t read Cider With Rosie since I was a teenager. You have made me want to read it again and share it with other people too. Thank you! One of the most important lines in your post, to me, is about living a life looking outward rather than in. So many times I become far too introspective, dwelling within my own small circle. I have to push myself to look out, to look at “village” life, education, helping one another. I think the cover of this book captures some of the joy and hope I sense from your review. Thanks Bellezza for noting that, Laurie Lee’s memoir is a real tribute and celebration of all those who make up the community, those who are present and it is quite a contrast to the more introspective memoir that sees people and events in relation to the narrator. 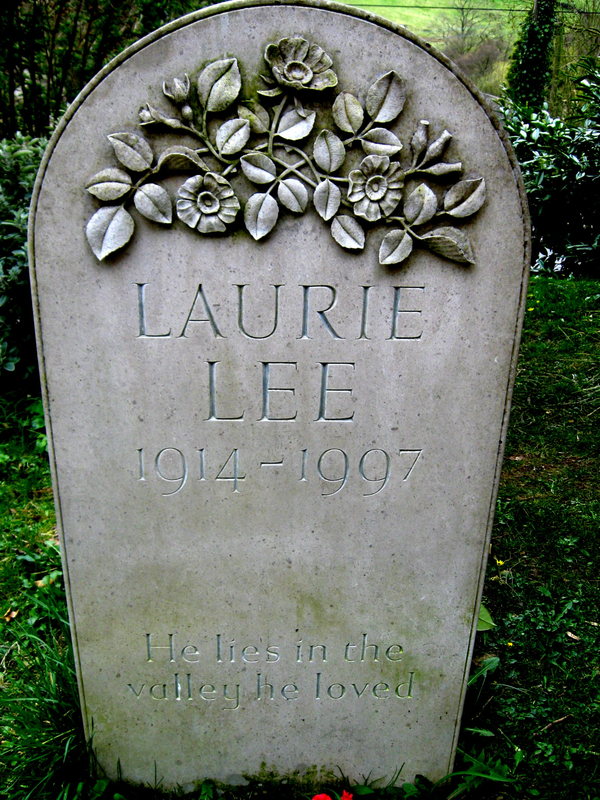 I think there is a lot more “accepting things as they are” that was practised in that era, but I think Laurie Lee also takes his example from his mother, who seemed to radiate contentedness, forever living off the memory of those few years when she felt she was treated like a queen, rather than focusing on the many that followed where she had to raise such a large family on her own.